Generating meaningful consumer interest online, he contends, is not as simple as using social media to “leapfrog traditional media and forge relationships directly with customers,” as early trailblazers predicted and believed it would be. That is, with the influx of businesses rushing to the various social media platforms at their disposal, in an effort of reaching prospective customers in their preferred medium, being effective in 2018 has become far more complicated and challenging than simply having an account and using it all willy-nillly. In the digital age, where everybody and their grandma has a social media account—and thus, have a platform to speak their mind, engage in social communities as they see fit, and are fast to opt out of those marketing campaigns to which they feel no strong connection—being successful with social media has become staggeringly difficult for brands and companies. Distinguishing oneself as credible, trustworthy, and deserving of the elusive “like,” follow, and subscribe, has become seemingly hopeless, an exercise in futility comparable to duking it out on the side of a mountain. Those whose efforts yield conversions, then, might feel like they’ve conquered Everest… and to take this analogy one step further, I’ll ask: would you tackle such a daunting obstacle without a plan, start climbing up a mountain in sneakers and jeans, and risk losing your footing, free-falling to an untimely demise below? Probably not. Brands who wish to make the largest impact, then, had best have a strategy in place. So what is social media strategy? Let me cut to the chase: it’s a lot more than posting cat videos or your latest family vacation album! Put simply, your social media strategy is a unified plan for using social media to achieve your business’s goals. Your social media strategy will include marketing your services through the paid-advertising offerings from social media giants, like Facebook Business Ads and Twitter Ads, as well as incorporating an overarching content marketing strategy, such as video, live streaming, and social media marketing tools to streamline your posting schedule or email to promote your business’s content across media. This may seem like a lot… and to that end, I plan to use this article as an opportunity to highlight 3 stellar social strategies for the competitive social landscape in 2018 and beyond. I’ll also discuss how investing in professional social media marketing can help you conquer the Everest of your day, keeping you from tumbling down like the countless brands caught in the avalanche of poor planning and social media failure. Before we jump into how to be successful utilizing social media, it’s important to understand what unifies successful social media campaigns, so you too might be successful where so many others before you have failed. According to a recent study conducted by the McCarthy Group, 84% of millennials neither like traditional marketing nor trust it. Already, you might be thinking: “Hey, I’m not talking about taking out a full page ad in the newspaper, attempting to lure unsuspecting interstate voyagers with a gutsy billboard, or paying a small fortune to some overpriced creative department to come up with our company’s version of ‘where’s the beef.’” Traditional marketing, tsk, tsk. Social media’s different, right? Well, not if you approach social media with old school marketing tactics. It’s obvious that, with 30% of millennials who engage with a brand on social at least once a month (Sprout Social), competition for customers through social media marketing is fiercer than ever. And trying to get by with some fly by the seat of your pants approach will ensure your social media marketing efforts fall flat. For instance, a whopping 79% of adults reported using Facebook and 86% of businesses have tried user-generated content, according to SEMrush. 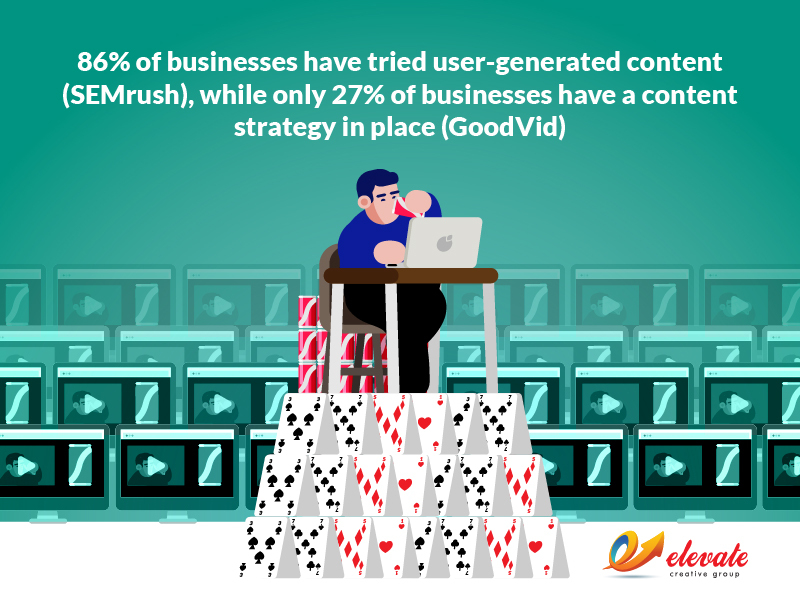 Yet, only 27% have a content strategy in place (GoodVid). Staggering. It’s true that competing for social traffic is tough, and without a strategy in place, it’s no surprise that so many business’s social media efforts have been thus far unsuccessful. So what’s the secret sauce to becoming one of those household names with which social media users choose to engage, to turn prospects into conversions and longtime brand subscribers and supporters? Put simply: authenticity. Consumers, people, crave authenticity. In fact, a 2017 Consumer Content Report from Stackla revealed that 86% of people identified authenticity as important when deciding which brands they like and, what’s more, support. The findings were also cross-generational, with 90% of millenials, 80% of boomers, and 85% of gen x finding authenticity most important. And the million-dollar question… how can my company become authentic and represent a force for good to prospective customers on social media? Below, I’ve outlined 3 strategies to help your company’s social presence and encourage authentic engagement. 1. When It Comes To Social Media Marketing, Quality Is The Best Policy. Good, quality content is not created in a vacuum, but rather, it’s clever, relatable. A good place to start is by coming up with topics your target audience will actually be interested in engaging with. This starts with conducting good keyword research (i.e., what the general public is searching). Competitive research (i.e., looking into what your competitors are doing and determining how you can do it better) can also be a fruitful starting place. Once you have your topics, addressing them with a fun, creative, and innovative approach (we’ll get into specifics of these approaches in strategy #3) can help distinguish you from your competitors and make your company seem invitingly engaging. The next step of course is planning a consistent posting schedule of quality social content. This is absolutely crucial because the last thing you want to do is start posting and then let your efforts fall by the wayside due to unexpected busyness (also a good reason to seek professional help and enjoy peace of mind and accountability)! With the sudden rise of live streaming, one innovative way to keep your audience both informed and engaged is to launch a regular live cast, where they can ask you questions directly, get product updates, and stay up-to-date with the latest news about your company. 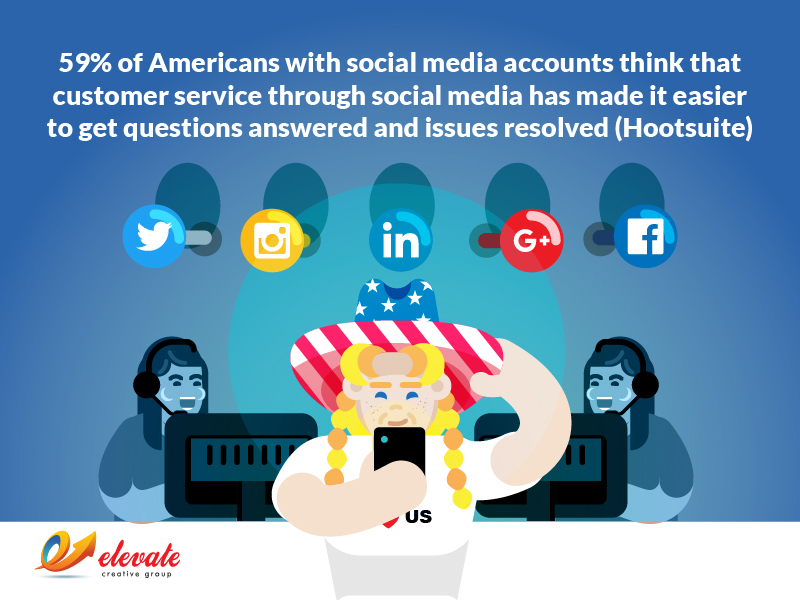 And considering that 59% of Americans with social media accounts think that customer service through social media has made it easier to get questions answered and issues resolved (Hootsuite), such an approach also injects a layer of authenticity and accessibility that your customers and prospects will likely appreciate. Finally, it’s not just about consistently posting high-quality content. It’s also about having a detailed social media marketing plan for curating your content, so you can truly get the most out of it. What’s curated content? It’s the process of sorting through your content (on-hand and in-process) and creating strategies to present it in the most meaningful and organized way once published—this includes, importantly, addressing the needs of your audience as well as the criteria of the medium. That’s right, you can’t just re-post the same message across all social platforms! For instance, as blogging continues to grow, with over 409 million people viewing more than 23.6 billion pages each month on WordPress alone (WordPress), you might determine that establishing a weekly blog is a good place to begin your content development process. A popular blog can be re-purposed, and its content further explained and improved upon in a social media live stream, where blog readers will have the opportunity to have their most digging questions answered to their full satisfaction. The most popular topics can be grown into recurring company YouTube playlists or episodes or, considering that 100 million hours of video content are watched on Facebook daily (Facebook Business), your company might consider implementing its own Facebook video marketing strategy. With the rise of influencer marketing as one of the fastest-growing online customer-acquisition methods, you might also consider inviting a public figure to guest blog a thought leadership piece, or interview them yourself, whether in traditional written blog-form, in an on-camera interview, or in some combination of the two. You can’t forget to promote your content, either, across social platforms, with visuals and call-to-actions appropriate for each platform—and don’t forget to promote your content to your email subscribers, or to initiate a weekly email newsletter, one of the most forgotten marketing powerhouses at your disposal. Finally, to keep your social subscribers engaged, your day-to-day posting strategies represent a too-frequently unsung, untapped resource. Consider, for example, that Facebook posts with images get 87% more engagement (HubSpot), or that tweets with images yield 18% more clicks, 89% more favorites, and 150% more retweets (WordStream), when tackling the creation of bright, colorful, saturated images with clever taglines or informative, visual-driven infographics inviting re-shares. 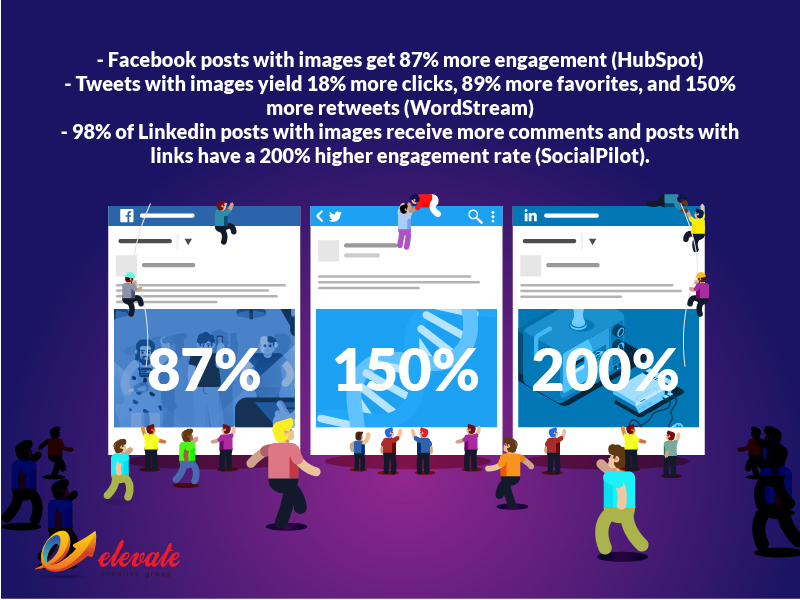 Similarly, on LinkedIn, 98% of posts with images receive more comments and posts with links have a 200% higher engagement rate (SocialPilot). You might consider the nature of this platform and its emphasis on professionals lends well to a different approach to posting and image selection, like a thought leadership piece to inform budding professionals and enthuse your colleagues from afar. In summation, to be successful with social media, which translates to you seeing a genuine impact on and furtherance of your business goals, you need to have a professional social media marketing strategy. Professional social media marketing companies, who provide specialized services tailored to your business’s goals and needs, will have untethered access to resources you probably don’t have in-house. 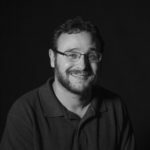 This includes, for instance, social media strategists and analysts, as well as professional videographers, editors, graphic designers, copywriters, and SEO specialists. What’s more, all of these individuals are MVPs of their respective craft, and are all working toward the same goal: sculpting, refining, and promoting your brand identity with compelling content that wows, pulls at the heartstrings, amuses. These creative professionals are experts in breaking through to and fostering an emotional connection with otherwise-skeptical prospects, stimulating brand engagement, endorsement, and long-term advocacy. In short, you need expert execution. Are you ready to do it right? Don’t let yourself get lost with the other voiceless companies overcome by the avalanching social media mountains. If you’re serious about social media marketing and your business needs help with your marketing strategy, please contact us HERE to learn more.